Character and Storybuilding via the genius of Pixar! Emma Coats is a story artist at Pixar. (Here’s some tissue for all that drool.) Over the past couple of months she has posted a series of “story basics” These are all story and character building elements that she has picked up while working with her more veteran colleagues at Pixar. Wisdom from the top and wisdom that applies in a wonderful way to those of us who want to create amazing stories for a living. Or visit her tumblr page rich in advice on storyboarding. Find them after the jump! Please Note: All featured artwork in this article is owned by Emma Coats. Be sure to let us know which ones resonate with you and which are your favorites! I was first exposed to Ray Bradbury, not through his books but through a television series on HBO. The series was called Ray Bradbury Theatre. The episode that freaked me out the most when I was little was called, The Playground. It featured William Shatner as a Father trying to protect his son from a playground populated by children that turned into werewolf like creatures. Needless to say I slept with the covers over my head that night!! The next exposure came from the movie, Something Wicked This Way Comes. A movie that tells the tale of a small town visited by a travelling circus that grants wishes and then steals the souls of its victims. The heroes are two young boys and one of their Father’s fighting the ringleader of the Circus. Lots of great, creepy and adventurous stuff. Ray Bradbury populated my childhood with fantastic and horrific images that I loved and was freaked out about at the same time. I didn’t learn until later that he was a prolific writer and my library odyssey of his work began! Bradbury wrote numerous iconic literary titles, most famously the tale Fahrenheit 451 and the extraterrestrial drama Martian Chronicles. Countless sci-fi/fantasy genre works by Bradbury have been adapted for both the small and big screen over the past sixty years. He has also won many awards for his writings and films. Sadly, Mr. Bradbury passed away at 91 on the morning of June 6, 2012. He was a massive contributor to the world of Sci-Fi, Horror and the imaginations of little boys and girls. He will be missed, but his masterpieces stay with us. For more info follow the links below. Believe it or not, there are multiple ways to get the knowledge, skills and networking that can prove integral to getting published. There are many annual conferences throughout the year that are dedicated to providing knowledge and information to burgeoning artists and writers. Those that are hungry to learn more about the industry they want to break into. Many of us are familiar with the conferences that are put together across the country by organizations like SCBWI (Society of Children’s Book Writers and illustrators). But did you know that there are others? “I’ve had the privlege of teaching in the past for WIFYR back in 2009 and 2010 and let me just say that this is one of the best conferences for writing and illustrating in the country! People fly in from all over to attend and space is still available. In past years the conference has sold out so it’s not too late! I’ve talked with quite a few editors about this conference and many applaud it as one of the best in terms of quality of teaching as well as atmosphere. Their dedication to bringing you relevant and current information is really the key to their success. So let’s heed the advice of a seasoned professional. If you are able to, make plans to attend the conference. It runs from June 18-22 in Sandy, Utah. If not this year then maybe next! Keep your calendars open! Follow this link to the website and to get more information on which courses are full and which still have space available! Stay Informed is our way of keeping those interested in the Children’s Market informed about the Events and News Worthy events going on. So check in and Stay Informed! 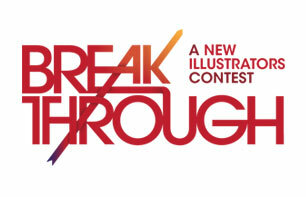 Famed Art Rep Richard Solomon is sponsoring a contest for Breakthrough Young illustration talent. There are 5 days left to enter the contest. The details are listed in brief below with more detailed information here. 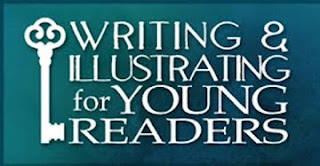 Our goal is to help young illustrators break through into the competitive world of illustration. By submitting a portfolio of their best images, the entrant will be judged by a diverse panel of art directors who will review, score, and decide who will be this year’s great, young illustrator. Meet art directors and artists. Less than 5 years of paid, professional experience in the industry. Must be 18 to 35 years old. Ellen Levine, popular writer of historical accounts of minority struggles and immigration has passed away at the age of 73. She sadly succumbed to lung cancer. She is survived by her wife, Anne Koedt. Ellen wrote the popular book, “Freedom’s Children” (1993), about black teenage activists of the civil rights era. 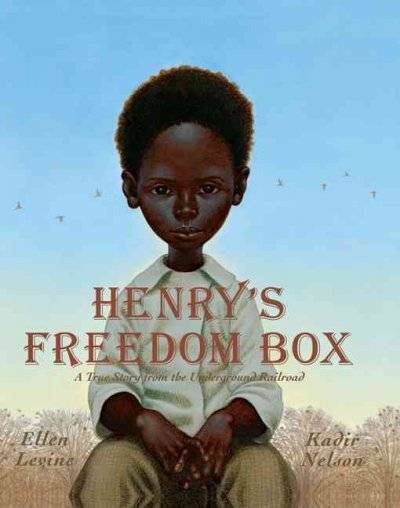 She also wrote the Caldecott nominated book, “Henry’s Freedom Box,”with illustrations by Kadir Nelson. For more information please go to the following Washington Post article.